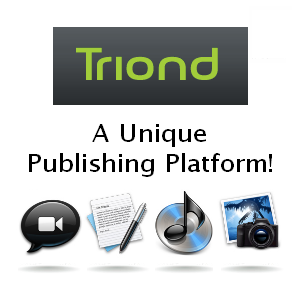 I see Triond as a place for writers to provide snappy teasers and mini-documents based on their existing content library. In doing so, you build up your brand and presence, while earning a little gas or play money on the side, at least for starters. Some say it’s possible to earn massive residual income on Triond (say, around $3200 a month) but, to do so, you have to research subjects and employ thorough SEO/SMO (which I try to do with all my published content, regardless of the medium or platform). I say temper your expectations – there are NO get rich quick solutions (just scams pretending to be shortcuts) out there!If there was ever an incentive for catering to short attention spans and fickle user habits, it’s now. This is the Twitter-YouTube Era now and, apparently, anything past 140 characters (or 4 minutes if it’s a video) is pushing it now. Max Miroff and countless others point to the fact that the top performers on Triond (and similar publishing sites) create short articles of great interest. They also create TONS of articles to build up their credibility and authority. Much like the elevator sales pitch, it seems like there is a thirty-second window for grabbing the attention of the online community. Keep it short and sweet FTW – got it! I’m going to go into social media and syndication mode so expect some stats in a few weeks or months, depending on turn-around. Production will have to be ramped up big time (at least 2 featured articles a day) – YIKES! How do you product a plethora of content and NOT seem “spammy”? The easy answer: make sure the 30 seconds you have of dedicated attention are used wisely. Offer something of real value. Share your beliefs and passion – make them contagious so they can go viral! Be authentic in all you do and people will follow your lead.. You hear me mention Seth Godin quite a bit: Google him and research the ideavirus. Godin saw the urgency in creating viral content and cultivating communities/networks before YouTube even hit the scene! Hmmmm… Good food for thought! Now we know our next steps, yes? For the interim (until I become a content-producing machine), I’ll be tweaking my existing content here on Y3B and on DuelPassOnline. Adding related links, cross-promoting, and using social media tools will be key. I think this is all a good excuse to put Digg, StumbleUpon, Squidoo, Facebook, and Twitter to some real work! Quick Tip: If you’re looking to just submit articles rather than feature them exclusively, I’ve had the best results using eZineArticles for my clients. Buzzle, Helium, ArticlesDashboard, Amazines, and countless others are all good options too but I say stick with a few tools. If you don’t focus your SEO/SMO efforts, you’ll get overwhelmed. Trust me on this! Which social media, publishing platforms, and promotion tools have you found most useful over the years? Is Choosing A Niche Necessary For Effective Content Marketing? This entry was posted in Projects, Sales & Selling, Self Marketing, Selling Yourself, Storytelling, Writing & Blogging and tagged a brief look at triond.com, concise content versus detailed content, content marketing and publishing platforms, content marketing and publishing tools, elevator sales pitch, make it snappy and interesting, my next projects in content publishing, postaweek2011, some marketing advice from seth godin, thirty seconds to engage your audience, triond publishing benefits, what is triond by Yogizilla. Bookmark the permalink. Great post! You’ve put some great thoughts in my head. Thanks! wonderful to the point article!!!! you def. brought somethings to my attention!! !